As a Southern Gothic novel the primary themes of To Kill a Mockingbird involve racial injustice and the destruction of innocence. Scholars have noted that Lee also addresses issues of class, courage, compassion, and gender roles in the American Deep South. The book is widely taught in schools in English-speaking countries with lessons that emphasize tolerance and decry prejudice. 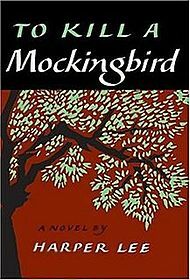 Despite its themes, To Kill a Mockingbird has been subject to campaigns for removal from public classrooms, oftenchallenged for its use of racial epithets.Reception to the novel varied widely upon publication. Literary analysis of it is sparse, considering the number of copies sold and its widespread use in education. Author Mary McDonough Murphy, who collected individual impressions of the book by several authors and public figures, calls To Kill a Mockingbird “an astonishing phenomenon”. In 2006, British librarians ranked the book ahead of the Bible as one “every adult should read before they die”.It was adapted into an Oscar-winning film in 1962 by director Robert Mulligan, with a screenplay by Horton Foote. Since 1990, a play based on the novel has been performed annually in Harper Lee’s hometown of Monroeville, Alabama. To date, it is Lee’s only published novel, and although she continues to respond to the book’s impact, she has refused any personal publicity for herself or the novel since 1964.1960 – To Kill a Mockingbird by Harper Lee is first published. Their 2000 single “, It’s My Life“, successfully introduced the band to a youngr audience. Bon Jovi has been known to use different styles in their music, which has included country for their 2007 album Lost Highway which debuted at number one on the Billboard 200. Their latest album, The Circle was released in 2009, reaching number one as well.Throughout their career, the band have released eleven studio albums, three compilation albums and one live album, and have sold 130 million records worldwide. They have performed more than 2,700 concerts in over 50 countries for more than 35 million fans. Bon Jovi was inducted into the UK Music Hall of Fame in 2006. The band was also honored with the Award of Merit at the American Music Awards in 2004, and as songwriters and collaborators, Jon Bon Jovi and Richie Sambora inducted into Songwriters Hall of Fame in 2009. The latest album entitled “About Now” was released on 11th March 2013. Richie Sambora recentlyparted company with Bon Jovi and has been interviewed about whether he will return and has also released a number of solo albums : Stranger in This Town in 1991,Undiscovered Soul in 1998, and his third, Aftermath of the Lowdown was released in September 2012.